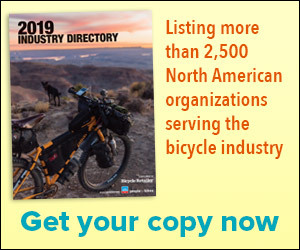 Anyone who operates a business within the bike industry knows how challenging things are today. My suggestion is to approach these challenges by viewing your business as a wheel. This anonymous guest editorial first appeared in PBMA Mechanics Minute, a weekly newsletter from the Professional Bicycle Mechanics Association. Analysis: Is the bike industry adapting to ’good enough’ expectations? Industry veteran Dave Goeppner says adapting to new buying habits will take courage, especially for purveyors of premium products. Matt Powell, an analyst at The NPD Group, says he's never liked the term "omnichannel" to describe the new sports retail environment. Industry veteran Dan Sotelo says, "IBDs need to bite the bullet, stop resisting and alienating online consumers, and just face the fact that the internet is here to stay." BRAIN's editor-in-chief says female consumers are going to vote with their wallets when they encounter sexist marketing campaigns, but it's not BRAIN's job to protect companies from themselves. Responding to an earlier opinion column, Ray Keener says, "Americans love bicycles, they're just not so crazy about cyclists. I believe that, collectively, we as cyclists can't encourage a change in the law that further erodes the general perception of our ilk." Opinion: Should cyclists be allowed to yield at stop signs? For 35 years, people riding bikes in Idaho have been allowed to do something they can't legally do just about anywhere else—treat stop signs as yields. Until June 2017, Idaho was the sole state that permitted this behavior. Now it's been joined by Delaware. Is California next? Sarah Lamb analyzes some results from a recent PBMA member survey. The CEO of Enve says accomplishments in Utah are threatened by recent controversies. There’s no hidden agenda here. Senators Mike Lee and Orrin Hatch of Utah, the bill’s author and original cosponsor respectively, would like to see Moab protected for mountain bikers and more human-powered Moab-type destinations emerge. The bill doesn’t provide for motorized travel, semi-motorized travel by devices like e-bikes, grazing, mining, or sale of federal land. Nor does it amend the Wilderness Act substantively. Without public lands, there is no mountain biking, and Sen. Mike Lee is no friend of public lands. He supports the state takeover of public lands and votes consistently NOT to fund the Forest Service or the Bureau of Land Management. Lee’s support of the STC bill is part of his larger agenda to undermine the environmental community, undermine the public land agencies, and give states control of federal lands.